The Apollos program is run by qualified coaches. Gymnasts learn basic gymnastics skills and shapes and progress towards basic skills like cartwheels, handstands and rolls. 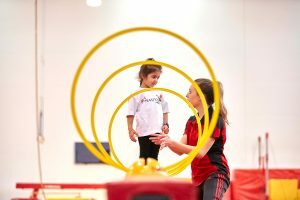 This safe and challenging program enhances self-confidence, getting them ready to launch confidently into gymnastics skills, other sports and life.